Randall S. Cavanaugh became an associate of the firm in 1999. 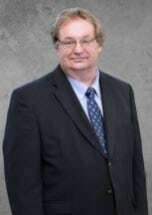 His area of practice involves Alaska workers' compensation, personal injury and criminal defense of adult and juveniles in both State and Federal Court. He was Criminal defense attorney of the year in 2009. He also represented William Osborne. The case was regarding post-conviction DNA testing. Litigated the case at the state court and was part of the Innocence Project team that eventually went to the United States Supreme Court.